(1) DIVERSITY STARTS EARLY. The 2019 World Fantasy Convention responded to Silvia Moreno-Garcia’s criticism (see yesterday’s Scroll, item #3.) She answered in a thread that begins here. This is why I say diversity needs to be baked into the cake-making process long before the cake is frosted. If you invite a Latinx author (as an example) and they decline, then you can't just say 'ok we tried!' and leave it at that. The Crimes of Grindelwald is better than the first Beasts film, and not just because that turns out to be such a low bar to clear, but because it has a firmer grasp on what kind of movie it wants to be. It feels more familiarly Potter-y, in that it assumes the distinctive narrative shape of Harry Potter stories. Once again: Structurally, it’s familiar, not, you know: good. Can we all admit, here, that the plots of Harry Potter books and movies were always frustrating in the extreme? Rowling’s characters delighted in keeping vital information from Harry — and by extension, the reader — turning every tale into an ersatz, low-rent mystery where the goal was never to uncover whodunnit, but to eke out even the most basic understanding of whatthehellsgoingon? Inevitably, we’d discover the answers — well, “discover” is inaccurate. We’d be told, when Rowling would finally sit Harry down to have him listen to an extended monologue, filled with secret history to which neither he nor we could have been expected to be privy. That’s the kind of plotting The Crimes of Grindelwald serves up, down to a hilariously out-of-nowhere pseudo-climactic scene in which characters who’ve spent the movie scheming to murder one another just stand around listening patiently to a series of monologues like they’re sleepy kindergartners at storytime. Today we’re announcing that the conversation with our readers is ready to evolve in new and exciting ways. In the new year, the articles, interviews, and lists you have enjoyed on Unbound Worlds will have a new home within penguinrandomhouse.com. That means we’ll no longer be publishing new content on Unbound Worlds after this month, but we’re excited to be able to deliver even more of the very best in science fiction, fantasy, and horror books, curated collections, and offers through our email programs. (4) A BETTER LIGHTSABER. Don’t just sit there – spend money on Star Wars toys! “Disney Designs New Lightsaber That Extends and Retracts Just Like the Film Versions”. For some of us out there, society’s technical advancements can all be measured by answering one question: How close are we to a real lightsaber? While the model outlined in Disney’s newest patent application may not cut through solid steel, it will have an advantage over previous toys and replicas. Published today by Disney Enterprises, Inc., “Sword Device with Retractable, Internally Illuminated Blade” outlines a lightsaber design which allows the “energy blade” to shoot forth and retract in a way that properly mimics the iconic weapon’s use in the Star Wars franchise. Currently, if you want to walk the path of the Jedi you’ve got two basic options. The cheaper choice involves purchasing a toy with a telescoping blade, with larger segments near the hilt and smaller segments near the tip, creating a triangular — and not very film accurate — shape. For more money you get more accuracy, so you could also purchase a fixed blade that looks closer to the movie ones when lit, but can’t extend or retract at all. Remember that iconic scene where Mace Windu stopped to screw in his purple blade before battle? Nope, neither do we. (6) GOING TO THE WORLDCON. The Shimmer Program announced that the winners of the Dublin 2019 Attending Funding for Chinese fans offered by Storycom are Constance Hu and Amelia Chen. Each will get RMB 10,000 for use in attending and staffing the con. They are expected to gain experience in the Worldcon organizational work and help with future Chinese bids. Tammy Coxen & Adam Beaton, Member and Staff Services DH & DDH of Dublin 2019, and Colin Zhang, winner of Worldcon 75 Attending Funding & Hospitality DDH of Worldcon 75, worked as judges for the selection. When NBC decided to cancel Star Trek after its second season in 1967, the Trimbles decided to organize a write-in campaign to the network. “This was before computers and the Internet, so we had to rely on obtaining mailing lists. We asked but were turned down by several people who had mailing lists, but Big-Hearted Howard DeVore gave us his list to start the campaign. He also talked others into letting us use their mailing lists. He never got credit for this, though the [sic] we (John and Bjo Trimble) mentioned his name in interviews.” So it may surprise many fans to know that without Howard, the Save Star Trek campaign might not have succeeded. In the Chechnya chapter of the V5 Camarilla book, we lost sight of this. The result was a chapter that dealt with a real-world, ongoing tragedy in a crude and disrespectful way. We should have identified this either during the creative process or in editing. This did not happen, and for this we apologize…. The “star of the show” was my personal favorite piece, the Apollo 11 Lunar Module Flown Spacecraft ID Plate. When the fierce bidding was over, it had sold for $468,500 to a bidder in the room. Four lots tied for “second place” at $275,000 each: two Apollo 11 LM Flown Wright Flyer Propeller Pieces (Lot 52284 and Lot 52285); the Apollo 11 Flown Largest Size American Flag; and the Apollo 11 LM Flown Apollo 1 Fliteline Medal. This last lot was particularly poignant as Neil Armstrong and Ed White II were close friends; the medal was taken to the moon as a tribute to White who perished in the Apollo 1 training fire. A special thanks to the dedicated staff at Collectibles Authentication Guaranty (CAG) who worked tirelessly to authenticate and encapsulate or certify every single item in The Armstrong Family Collection™. Another sincere “thank you” goes out to Rick and Mark & Wendy Armstrong who were always available to help in any way needed. (10) GOLDMAN OBIT. William Goldman, author of The Princess Bride, has died. Deadline has the story — “William Goldman Dies; Oscar Winning Writer Of ‘Butch Cassidy And The Sundance Kid’ Was 87”. Goldman began as a novelist and transitioned to writing scripts with Masquerade in 1965. While his greatest hits were the indelible pairing of Robert Redford with Paul Newman in the George Roy Hill-directed Butch Cassidy and the Sundance Kid, and Redford and Dustin Hoffman in the Alan Pakula-directed toppling of President Richard Nixon drama All The President’s Men, he wrote the scripts for many other great movies. The list includes the Hoffman-starrer Marathon Man (Goldman also wrote the novel, which made dentist visits even more undesirable),as well as The Princess Bride, The Stepford Wives, The Great Waldo Pepper, A Bridge Too Far, Chaplin and Misery. He also did a lot of behind the scenes script doctoring without taking a screen credit, as on films that included A Few Good Men and Indecent Proposal. Born November 16, 1939 – Tor Åge Bringsværd, 79, Writer, Editor, and Fan from Norway who co-founded Norwegian fandom. He and his university friend Jon Bing were huge SF readers in a country where SF publishing did not exist, so they founded, in 1966, the still-existing Aniara science fiction club and its fanzine at Oslo University. In 1967, they produced an SF short story collection Ring Around the Sun, which is known as the first science fiction by a Norwegian author. In 1967, they persuaded Gyldendal, the leading Norwegian publisher, into launching a paperback SF line with themselves as editors. Between then and 1980, this imprint released 55 titles which included the first Norwegian translations for many authors, such as Aldiss, Bradbury, Le Guin, and Leiber. He quit university to become a full-time SF writer, and since then has accumulated an impressive array of awards, including the Norwegian Academy Award, the Ibsen Award, and the Norwegian Cultural Council Award. Born November 16, 1952 – Candas Jane Dorsey, 66, Writer, Poet, and Critic from Canada whose works include poetry, fiction, television and stage scripts, magazine and newspaper articles, and reviews. Her fiction has garnered a Tiptree Award, numerous Aurora Award nominations and wins, and a Sunburst nomination. She was a co-founder of SF Canada, was editor-in-chief of The Books Collective from 1992 to 2005, and has co-edited two editions of Canadian Science Fiction’s long-running annual anthology Tesseracts. Born November 16, 1952 – Robin McKinley, 66, Writer. Beauty: A Retelling of the Story of Beauty and the Beast was her first book. It was considered a superb work, and was named an American Library Association Notable Children’s Book and an ALA Best Book for Young Adults. Rose Daughter is another version of that folktale, whereas Spindle’s End is the story of Sleeping Beauty, and Deerskin and two of the stories that you can find in The Door in the Hedge are based on other folktales. She does a superb telling of the Robin Hood legend in The Outlaws of Sherwood. Among her novels not based on folktales are Sunshine, Chalice, and Dragonhaven. Her 1984 The Hero and the Crown won the Newbery Medal as that year’s best new American children’s book. She was married to Peter Dickinson from 1991 to his death in 2015; they lived together in Hampshire. They co-wrote two splendid collections of Tales of Elemental Spirits: Water and Fire. I’d be very remiss not to note her other bonnie Awards: a 1983 Newbery Honor for The Blue Sword, the 1986 World Fantasy Award for Anthology/Collection for Imaginary Lands, and as editor, the 1998 Phoenix Award Honor Book for Beauty, and the 2004 Mythopoeic Fantasy Award for Adult Literature for Sunshine. Impressive indeed! Born November 16, 1958 – Marg Helgenberger, 60, Actor who played Hera in Wonder Woman. She also appeared in Conan: Red Nails, Species and Species II, After Midnight, Always, the miniseries The Tommyknockers, an episode of Tales from the Crypt, and a recurring role in Under the Dome. Born November 16, 1964 – Harry Lennix, 54, Actor of Stage and Screen and Producer, who has appeared in Suspect Zero, two of The Matrix movies, Man of Steel, Timeless, Batman v Superman: Dawn of Justice, and has provided character voices for animated features and series including Transformers: Robots in Disguise and Justice League: Throne of Atlantis. Born November 16, 1967 – Lisa Bonet, 51, Actor whose first genre work was in an episode of Tales from the Darkside and as Epiphany Proudfoot in Angel Heart, a decidedly strange horror film. More germane was that she was Heather Lelache in the 2002 A&E adaptation of Le Guin’s Lathe of Heaven. She later played Maya Daniels in the Life on Mars series as well. Born November 16, 1972 – Missi Pyle, 46, Actor who played Laliari in Galaxy Quest, which is one of my (and JJ’s) favorite SF films of all time. She also appeared in Josie and the Pussycats, Big Fish, Pandemic, Charlie and the Chocolate Factory (which is is just plain awful), Percy Jackson: Sea of Monsters, A Haunted House 2, and Jumanji: Welcome to the Jungle, and episodes of Star Trek: The Next Generation, Roswell, The Tick, Pushing Daisies, and Z Nation. Born November 16, 1976 – Lavie Tidhar, 42, Writer, Editor, and Critic from Israel. The first work I read by him was Central Station, which won 2017 John W. Campbell Memorial Award for Best Science Fiction Novel. It certainly deserved that accolade! The next work by him I experienced was The Bookman Histories, in which Mycroft Holmes is murdered and, well, everything of a pulp nature gets tossed into alternate history England: it’s both brilliant and annoying at times. I’m reading Unholy Land, his telling of the founding of a Jewish homeland long ago in Africa, now. It’s a quieter read than much of his work. 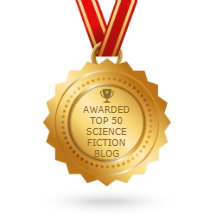 He edited the first 3 editions of the anthology series The Apex Book of World SF, an evolution of his BSFA-winning and World Fantasy Award-nominated The World SF Blog, where he posted reviews on international SFF from 2009 to 2013. Born November 16, 1977 – Gigi Edgley, 41, Actor and Singer from Australia. Though her genre experiences are varied, I think she’ll be best remembered for her role as Chiana, one of the Nebari, a repressive race that she rebels against, and as a result, becomes a member of the crew on Moya on the Farscape series. Other genre appearances include a role in Richard Hatch’s robot film Diminuendo, and guest parts in episodes of Beastmaster, The Lost World, Quantum Apocalypse and the web series Star Trek Continues (in “Come Not Between the Dragons”). She is a popular guest at SFF media conventions. (12) MISTAKES WERE MADE, INFO WAS DUMPED. Beware! Paralysis (from laughter) may ensue when you read “The Concerning Fine by Tim Catzi: Part 2 of the Colluding Umpire” at Camestros Felapton. Learning other languages offers insights into the way that other cultures see the world. For someone like myself, gaining those insights can become addictive, and that fixation has led me to study 15 different languages. My recent book, ‘From Amourette to Zal: Bizarre and Beautiful Words from Around Europe’, explores some of the words that other languages have, but that English doesn’t. The following 10 words, for example, describe character traits and behaviours that may be familiar to us all, but that the English language struggles to succinctly express. Film star Tom Hardy has been made a CBE for services to drama by Prince Charles at Buckingham Palace. The Mad Max and Venom actor is a friend of Princes William and Harry and was among the guests at Harry’s wedding to Meghan Markle in May. Electromagnets generate a force. Scrap-yards use them on cranes to lift and move large metal objects, such as old cars. The pull of the electromagnet, the force it exerts, is directly related to the amount of electrical current going through its coils. There is, therefore, a direct relationship between electricity and weight. So, in principle, scientists can define a kilogram, or any other weight, in terms of the amount of electricity needed to counteract the weight (gravitational force acting on a mass). There is a quantity that relates weight to electrical current, called Planck’s constant – named after the German physicist Max Planck and denoted by the symbol h.
But h is an incredibly small number and to measure it, the research scientist Dr Bryan Kibble built a super-accurate set of scales. The Kibble balance, as it has become known, has an electromagnet that pulls down on one side of the scales and a weight – say, a kilogram – on the other. The electrical current going through the electromagnet is increased until the two sides are perfectly balanced. This breakthrough has paved the way for Le Grand K to be deposed by “die kleine h“. (16) OTHER CURRENT EVENTS. This week’s BBC News Quiz (and closes) with a gift for Filers. A good thing, because I got the rest of the quiz wrong! (17) COLLECTIVE MAMATAS. Fantasy Literature delivers a parallax view of Nick Mamatas’ short fiction: “The People’s Republic of Everything: An experimental collection”. On the whole, though, the stories within The People’s Republic of Everything often feel like they’re lacking something (narrative/thematic focus, clarification of details or character motivation, sometimes even just character voice) that would bring all of the elements together into a cohesive whole. I found myself relying heavily on Mamatas’ notes after each story in order to parse out what his goals and mindsets were for each work. I enjoyed Nick Mamatas’s story collection The People’s Republic of Everything more than Jana did. My experience with Mamatas’s work is his novel I am Providence, which I enjoyed very much, a few short stories, and his role as a gadfly on Twitter. I had a pretty good idea what to expect from this 2018 collection and I was not disappointed. 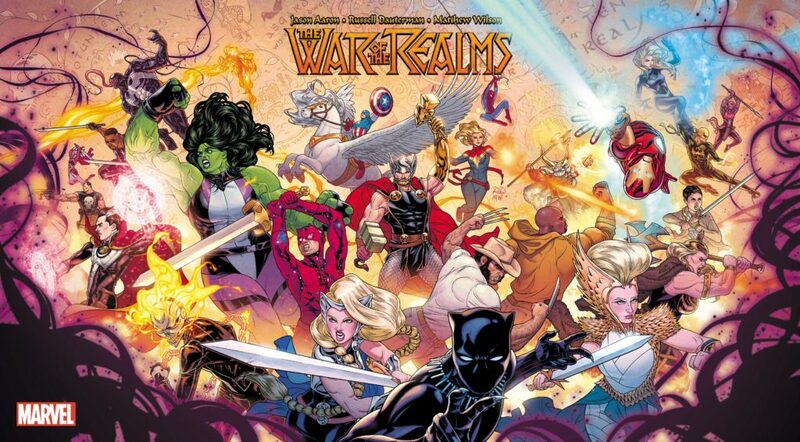 (18) SHARED UNIVERSE. Adri Joy makes this sound pretty good — “Microreview [Books]: Redemption’s Blade by Adrian Tchaikovsky and Salvation’s Fire by Justina Robson” at Nerds of a Feather. Oh hey, a shared universe! In books! Perhaps I’m not reading the right things, but this feels like a pretty rare occurrence, and aside from George R. R. Martin’s Wildcards series (which I haven’t read) and the occasional posthumous series continuation, I’m struggling to think of any intentional collaborations of this kind. Redemption’s Blade and Salvation’s Fire are a sequential pair which together open the “After the War” series. Redemption’s Blade – and, I believe, the concept for the whole world – was written by Adrian Tchaikovsky, who is fast on his way to becoming one of my favourite authors; Salvation’s Fire continues with Justina Robson, whose work I hadn’t read before. …The fantasy world here is probably best described as “Legend of Zelda except society makes sense”. Humans share their world not with Tolkien-issue elves and dwarves but with the (formerly) winged Aethani, the water-dwelling Shelliac, forests full of ethereal Draeyads (some of which are now eternally on fire), some spider people (a Tchaikovsky special! ), and most prominently, the Yorughans…. (19) LOST IN TRANSLATION. If alternative history with John Adams battling giant snakes is SF/Fantasy, then this is a good thread — starts here. (20) NOT GENRE, JUST WEIRD. 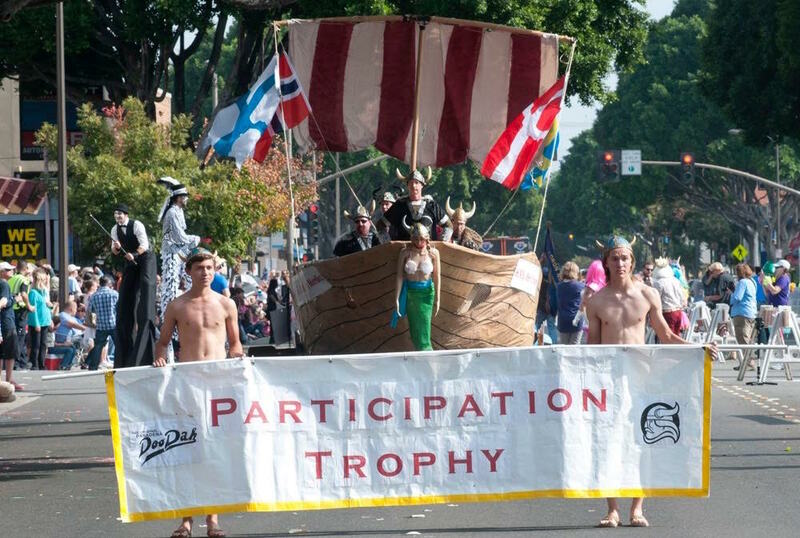 The 41st Pasadena Doodah Parade steps off Sunday, November 18. NyCon II (1956). 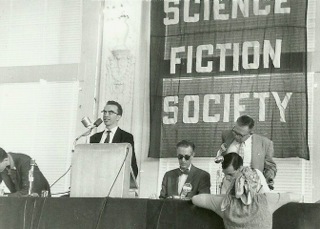 Chair Dave Kyle, seated, wearing a bow tie and dark glasses; Larry Shaw at podium, John Campbell and Robert Silverberg to Kyle’s left. This month fanhistorians were turned on their ears when a previously unknown shortlist of 1956 Hugo nominees came to light — unknown, despite the fact that it had been hiding in plain sight for over sixty years. We thank Olav Rokne for bringing to our attention an article on page 15 of the 1956 Worldcon Progress Report 3 that included the names of the finalists along with voting instructions. Yes, the information was in the Worldcon’s own publication. It doesn’t make sense that experienced fanhistorians were unaware of it, however, I think I’ve figured out why that happened. First, until just a few years ago when Kim Huett started acquiring early Worldcon progress reports and making scans available through Fanac.org, few fans were in a position to consult the source material. Second, by the time digital copies arrived online, longtime fans had no motive for checking on what seemed a settled question. Multiple fanhistories written by fans who had been active in the 1950s agreed that Detention, the 1959 Worldcon, was the first to institute a nominating ballot. Indeed, that remains true in a literal sense – it was the first use of a formal two-step process — but as we’re now aware NYcon II (1956) was the first Worldcon to issue a ballot containing a shortlist of finalists. In answer to the question “what and who were nominated for a Hugo?” the entire history of the awards themselves must be taken into account. For one thing, the first Hugo Award winners were not nominated…. However, before 1959, there were no nominating ballots (or if you prefer there was only a nominating ballot – there was only one ballot sent out.) Thus, there were no nominations to list here until the Detention in 1959. The later year system of preliminary balloting to determine nominees followed by final voting didn’t exist until the Detention in 1959. One reason for the changeover was the apathy which the Hugo attracted during those early years. Not many people were voting, and there were many possible choices in the years without the nomination system. Warner’s rationale for the change helps foster the impression that Hugo shortlists originated in 1959 by making no reference to the process followed by the 1956 committee, although he is literally correct that the two-step voting system was used for the first time in 1959. So where did the 1956 shortlist come from? All nominations were screened by a special committee in consultation with experts in the field to determine their qualifications… Those chosen represent the names with considerable support. These days we would call that a juried shortlist. Your ballot contains the name of each nominee with a box in the front. Either check or blacken in each box before the name of your choice. If you wish to write in the name of your choice which is not listed, do so on the black lines provided for you. In contrast, the 1959 Hugo ballot explicitly disallowed write-in votes. Franson, DeVore and Warner all passed from the scene years ago, so we may never find out why they all neglected to report the 1956 shortlist. The opening paragraphs of Franson and DeVore’s History stress that the Hugos are a popularly-voted award, unlike the International Fantasy Award, whose winners are also reported in the book. They may have considered a committee-created shortlist unworthy of canon. But that’s pure speculation. The one thing we’ve learned for certain is that there was a gap in the fanhistories people depended on for the past few decades. That’s why I’m happy to know someone is looking at the origins of the Hugo Award with a fresh set of eyes.